PORTLAND — To stand in a room, filled with over 5,000 people singing at the top of their lungs, is a powerful enough experience on its own, but to also have those people be singing from a genuine place of joy and love nearly brought me to tears. I had seen things like this before, but this was different. This was real. If we haven’t met yet, my name is Jacob and I am the newest addition to the ClarkCountyToday.com team. I am a storyteller, filmmaker and I love people. The experience I mention above happened to me last week in downtown Portland, at the Oregon Convention Center around 10 p.m. at night. As a filmmaker, I often volunteer to help with volunteer video projects. 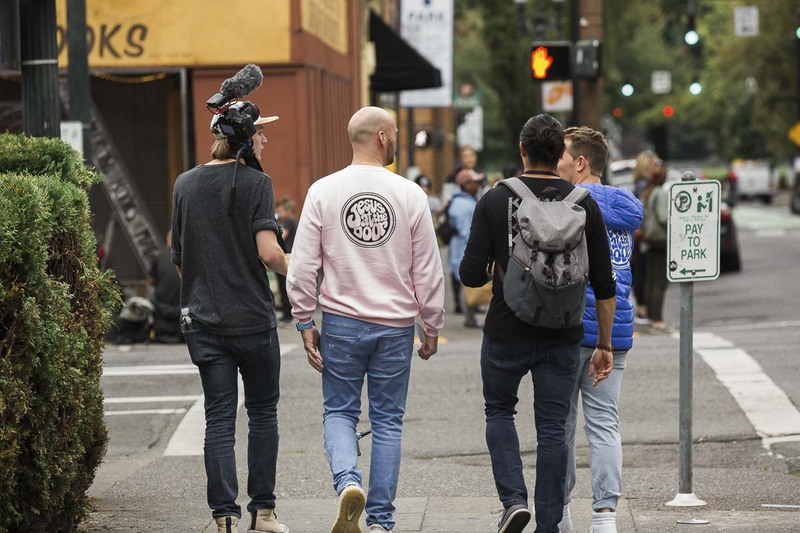 Last week I had the immense opportunity to be a part of the film crew for a huge event: Compassion to Action’s Portland 2018. To paint a quick picture for you, Portland 2018 was a group of 5,000 to 7,500 people over the course of four days meeting at the Oregon Convention Center to worship together, pray for one another and go out into the city to help anyone God put in their path. The organization that hosted the event, Compassion to Action, is in their own words, “… a movement focused on equipping a generation to change their world through the power of compassion.” The crux of this mission of change is one person: Jesus. Now before you write this off as another espousement of religious propaganda, take a second to hear some simple stories. I sincerely believe what you read will show you a different Jesus and a different Christianity than you have heard of before. About a year ago, my good friend and Pastor at City Harvest Church, Ben Meckel, told me about a movement coming to Portland. He said there would be well-known speakers and pastors from around the world with the goal of the whole event to send thousands of people onto the streets of their city. They would be going out to love people, help people and tell them about how much Jesus loves them. Being a Christian nearly my whole life, I had always dreamed of being a part of something like this in my community; in my home. In high school, I was tired of the church-goer life where I just needed to be a “good” person, and what sometimes felt hypocritical. I wanted to know the reason I believed in God, what Jesus did for me and why it really mattered; why it was even true? I was soon introduced to that reason when I went out with a group of people that loved Jesus, and loved people. We prayed for people on the streets of Vancouver, and I saw people healed of all sorts of pain and injuries. I saw those I went with listen to the voice of God tell them something about a stranger’s life, then them telling the stranger about what God had said and it being spot on, accurate information. I saw. I heard. I experienced. And I cannot disbelieve my experience. So when I arrived at Portland in 2018, I was expectant that Jesus was going to heal people physically and emotionally of anything and everything. Last week I operated a camera in a massive auditorium as hundreds of people watched needle tracks from years of drug addiction, vanish from their arms. I took photos while I witnessed people healed of chronic back pain and damaged joints. I stood in the room while people stood up out of wheelchairs, jumped when they couldn’t before and were overwhelmed with joy. Even as I write this, I am reminded of last night when a friend of mine was healed of painful pressure in her ears, after dealing with it for close to 15 years. We prayed once in the name of Jesus that she would be healed. Nothing happened. We prayed a second time that Jesus would heal her ears. Then she said the pressure dropped substantially, and the pain subsided. The movement of Portland 2018 is not about telling people how bad they are. It is not about yelling in peoples faces that they are going to hell, or that they are sinners with debts to pay. It will never be about that. It is about simply loving our neighbors like Jesus does. Homeless, wealthy, black, white, gay straight, student, parent, liberal, conservative… None of our labels are a barrier for the redemption of Jesus. I believe the movement that began in Portland last week will change my generation and my world. I believe that because of the impact of the love and grace that was on display last week was evident. What my country needs right now is a refocus off of what “I want” and what “They said” and what “Is comfortable.” There needs to be a shift to thinking outwardly. There needs to be a shift towards compassion. I will leave you with this: What I was witness to in Portland last week was a revolution against passive Christianity. It was churches and believers from all over the Pacific Northwest deciding to put the people around them first; loving them like they have been loved by God. The result of Portland 2018 was many homeless people receiving clothes, food or simply the time of day. The result was hundreds of people giving their lives to Jesus The result was many others being healed of all manner of pain. 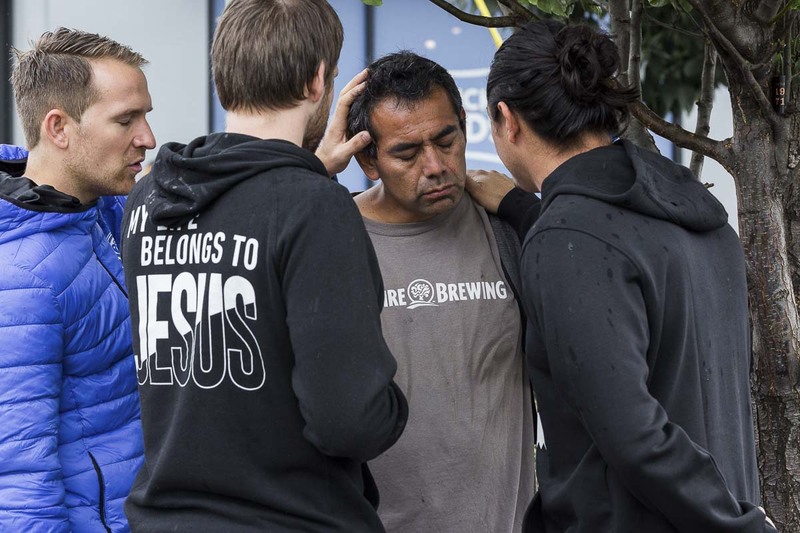 The result was the people of Portland were loved and encountered their savior Jesus. Thank you very much for taking the time to read this. It is my prayer for you that at least a piece of these stories spoke to you, and that you encounter Jesus in your life as well. For more information on Compassion to Action, upcoming events in America and testimonies recorded from Portland 2018, visit portland2018.com, the CTA website or check them out on social media @compassion_to_action.